The Wabash College Rhetoric Department and the Malcolm X Institute of Black Studies invites the public to a talk given by Carolene Mays at 4:15 p.m., Thursday, April 12, in room 109 in the Malcolm X Institute. The title of her talk is, "A Conversation about Networking, Politics, and Community Service in Indiana." Mays is currently a Commissioner for the Indiana Utility Regulatory Commission appointed by Indiana Governor Mitch Daniels in 2010. From 1998, until the appointment, she was publisher and president of the Indianapolis Recorder Newspaper and the Indiana Minority Business Magazine. Under Mays’ leadership, the Recorder, which is the nation’s fourth oldest African-American newspaper, grew in readership, prominence, and credibility. It is now ranked among the top Black newspapers nationwide. The Indiana Minority Business Magazine, which was acquired in 2007, also grew under her management, by more than 100% in circulation and revenues during the first year. Mays was elected to the Indiana House of Representatives in 2002. She served three terms, winning elections with more than 70% of the vote. In the Legislature, she served on the Ways and Means, Public Health and Transportation committees, and as Vice-Chairman of the Small Business and Economic Development committees. She also served on committees with the National Black Caucus of State Legislators, National Conference of State Legislators, and Women in Government. Mays retired from her State Representative position in November, 2008. Additionally, Mays was the host of the “Recorder On Air Report Television Show” (ROAR) on Central Indiana cable networks, as well as the co-host of a weekly television news segment, “Community Link,” on the Central Indiana's CBS affiliate, WISH-TV. 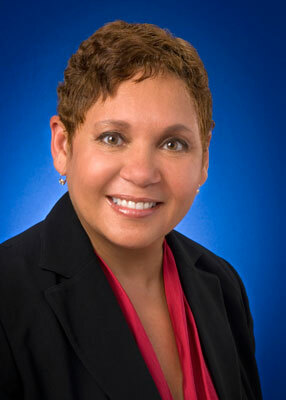 She was named one of Indiana’s Most Influential Women by the Indianapolis Business Journal. She recently served on the host committee for the 2012 Super Bowl and chaired the committee for the 2011 NCAA Women’s Final Four in Indianapolis. Her talk is free and open to the public.